Friends, treat yourself with this wonderful typography artwork paper board mockup. The download contains two PSD files – one with the white, horizontal version of the artboard and the second one with the dark artboard. 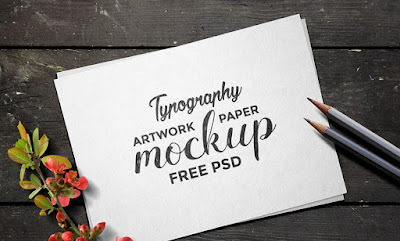 You may choose whichever mockup you like to showcase your typography or font designs or even hand-drawn sketches in creative style. As always, editing the text is enabled via smart-object layers – easy and quick.